The Magisterial See was surprised to learn that some of the press organs in the Slovakian Republic are portraying us as a fake order and as frauds. 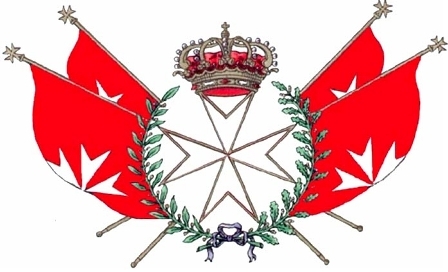 We consider it necessary and justified to issue the following statement regarding these false accusations made by the press: The Sovereign Order of Saint John of Jerusalem Knights of Malta Federation of the Autonomous Priories (KMFAP) is a state without territory and in this capacity, it maintains bilateral diplomatic and/or consular relations with many UN Member States as a subject of international law. In order to carry out our diplomatic activities, we issue diplomatic passports, the use of which is strictly regulated in accordance to international practice. Our humanitarian activity is extensive and acknowledged in many countries of the world. Thus, in Slovakia, we also have an active Slovakian Grand Priory that has partaken and currently participates in the organization of several humanitarian actions. False allegations threaten the future effectiveness of these humanitarian activities by journalists who seem to mislead the public through seemingly lacklustre knowledge of the facts and by distorting them. Although the “new papal institution” managed and funded by the Vatican (Italian Court verdict in 1955), SMOM cannot be regarded as the legitimate heir of the ancient order and is non-sovereign but its status as subject of international law – such as us the legal representant of the ancient order (Italian Court verdict in 1955), is indisputable, since they maintain diplomatic relations with several countries of the world.Over the last decades, a multitude of court judgments have clearly stated our international legality and sovereignty – in the European Union as well. The elements of exercising our sovereignty are the maintenance of diplomatic ties, amongst others, the issuance of official documents, rights to decorate individuals, to issue currency and operation of various state institutions. Through our Ecumenical Council, we have excellent relationships with numerous religions. Our diplomatic activity has often been successful when traditional diplomacy has failed and it serves the peaceful coexistence of nations to maintain international peace and security. In a great deal of countries, we are successfully facilitating in the creation of significant investments and development projects. We are proud of the four thousand Knights and Dames, who come from more than sixty countries of the world and are distinctively well-respected representatives of the economy, sciences and arts as well as pioneers of social progress and development. Slovakia is a strong, proud and independent state in whose internal affairs we do not want to interfere in any form, but we do not tolerate our name being used for domestic political battles. For this reason, we call on all press organs concerned to adjust their claims, and if they fail to do so, we will be forced to take all the necessary legal actions.We are considering holding a press conference in Bratislava in the near future, where we present the true facts and are ready to respond to journalistic questions. Next 2-5-2018: Remembrance gatherings are held throughout the Netherlands.